In this meticulously researched first novel, Laura Elizabeth Woollett tells the story of Jim Jones’ religious cult, the Peoples Temple, infamous for the mass-suicide of nearly a thousand people in 1978. 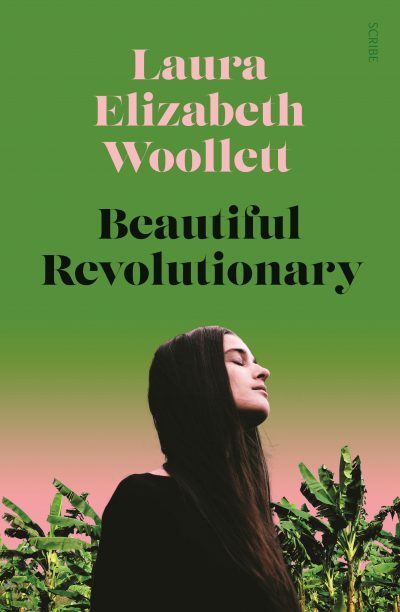 Beautiful Revolutionary is told from the perspective of Evelyn, a young woman who falls in love with Jones. Evelyn joins the Peoples Temple as a newlywed. Before long, she has fallen under Jones’ influence and eventually becomes a prominent member of his inner circle. Woollett’s prose is arresting—vivid without being flowery, subtle but still affecting. While the plot is dramatic and intriguing, the quality of Woollett’s prose is the most enjoyable aspect of this novel. She pays close attention to the historical setting but remains conscious of writing for a contemporary audience. All the details that one might expect from a story set in mid-20th century America are present: the fashions, music and political climate of the time, but this book is still filled with relatable characters. Reading Beautiful Revolutionary, it is easy to imagine how so many people could have been captivated and controlled by a man such as Jones. This is an excellent work of literary historical fiction that will appeal to readers of Emma Cline, Louise Erdrich and Emily Bitto.